When you decide you want to party in Vegas, you may not know it, but you're lining yourself up for a pretty touch process of decision making. Sure, party in Vegas - sounds simple enough; that is until you realize there are dozens of places your party can be at. Nightclubs, strip clubs, day clubs - they all call out to you, begging to host your affair; but you know only one can win out. Luckily, there is one that will stand out to you, and despite its location a little ways away from the Strip, you're immediately drawn to it. 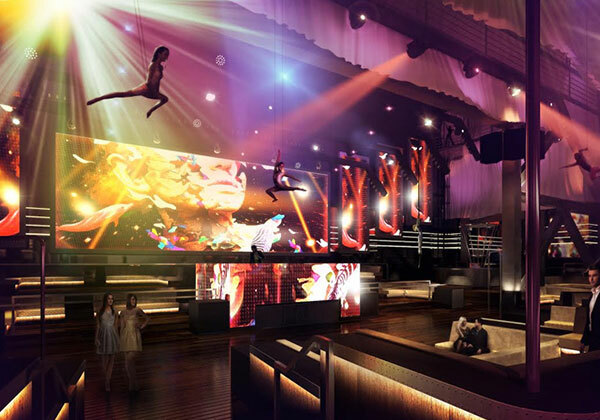 SLS Hotel and Casino presents to you Life, a nightclub that encompasses everything that Vegas' nightlife has to offer… and more. A new, highly energetic experience flowing with a life force of its own, Life is a nightclub to be reckoned with. 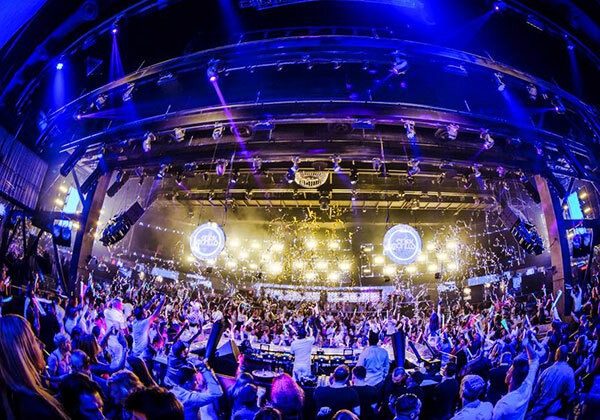 What makes a nightclub successful? A great energy, light atmosphere, and non-stop entertainment? How about an open space, a pool, and a dance floor? The 20,000 square-foot space that is SLS' Life has all of those attributes and more. Like many designs these days, Life is divided into two levels to optimize space. The bottom level acts as the source of the entertainment. The extravagant main floor houses a bar that puts out drinks faster than they can be ordered, ensuring people will spend more time enjoying the night. 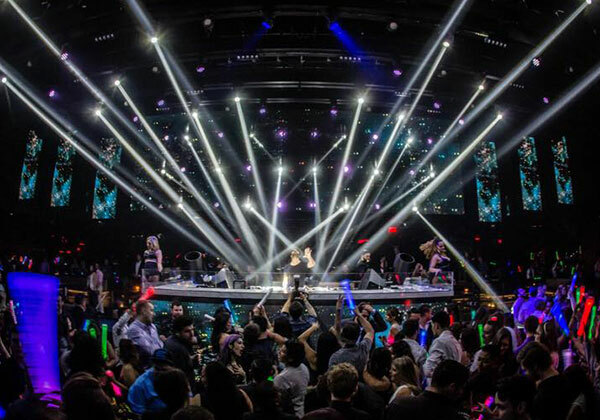 Life redefines Vegas' nightlife, bringing it back from today's norm of overcrowded dance floors and an indistinguishable bass. Life remains classy while still delivering on the entertainment that so many of Sin City's partiers look for. Fueled by world renown entertainment, Life's party is an engaging sprawl of excitement and fun that doesn't get bogged down by being "too sophisticated". On Life's second story is a rooftop pool. A rooftop pool that will give you the opportunity to show off some skin. You've worked all winter on toning yourself and Life will finally give you the opportunity to show it off without coming off as slutty. You've worked for it, you flaunt it. Though separated from the coal party space, the rooftop pool is just as enjoyable. Revel in the fresh desert air and still get to party the night away - does it get any better? Truth is, only with VIP does it get any finer. Don't party like a commoner. Grant yourself VIP status with one phone call to Bachelorette Vegas' experts. VIP access gets you to the front of the line where you will be met by your own private VIP host. From there, you get your own VIP table and a bottle of the club's premium liquor delivered right to you. If people aren't looking at you with envy, than they simply aren't paying attention. For reservation or VIP linepass to Life Las Vegas, please contact us..